WEST LAFAYETTE, Ind. — For men older than about 60, an enlarged prostate means feeling the urge to make a pit stop way too often throughout the day. Gomez, Hughes and Lorenzo are listed as co-inventors of this technology on a patent application filed by The University of Texas at Austin. The work received financial support from the European Research Council, Xunta de Galicia and Fondazione Cariplo-Regione Lombaria. 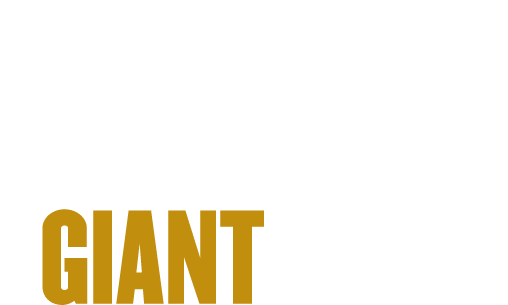 This research aligns with Purdue's Giant Leaps celebration, acknowledging the university’s global advancements made in health, longevity and quality of life as part of Purdue’s 150th anniversary. This is one of the four themes of the yearlong celebration’s Ideas Festival, designed to showcase Purdue as an intellectual center solving real-world issues. Note to Journalists: For a full-text copy of the paper, please contact Kayla Wiles, Purdue News Service, at wiles5@purdue.edu. A YouTube video is available at https://youtu.be/JW7pla1zLpM. The simulation was created by Guillermo Lorenzo, postdoctoral researcher at the University of Pavia. Other multimedia, along with text-free images of the simulations, can be found in a Google Drive folder at this link: http://bit.ly/prostate-research-media. The materials were prepared by Erin Easterling, digital producer for the Purdue College of Engineering, 765-496-3388, easterling@purdue.edu. Prostate cancer and benign prostatic hyperplasia are common genitourinary diseases in aging men. Both pathologies may coexist and share numerous similarities, which have suggested several connections or some interplay between them. However, solid evidence confirming their existence is lacking. Recent studies on extensive series of prostatectomy specimens have shown that tumors originating in larger prostates present favorable pathological features. Hence, large prostates may exert a protective effect against prostate cancer. In this work, we propose a mechanical explanation for this phenomenon. The mechanical stress fields that originate as tumors enlarge have been shown to slow down their dynamics. Benign prostatic hyperplasia contributes to these mechanical stress fields, hence further restraining prostate cancer growth. We derived a tissue-scale, patient-specific mechanically coupled mathematical model to qualitatively investigate the mechanical interaction of prostate cancer and benign prostatic hyperplasia. This model was calibrated by studying the deformation caused by each disease independently. 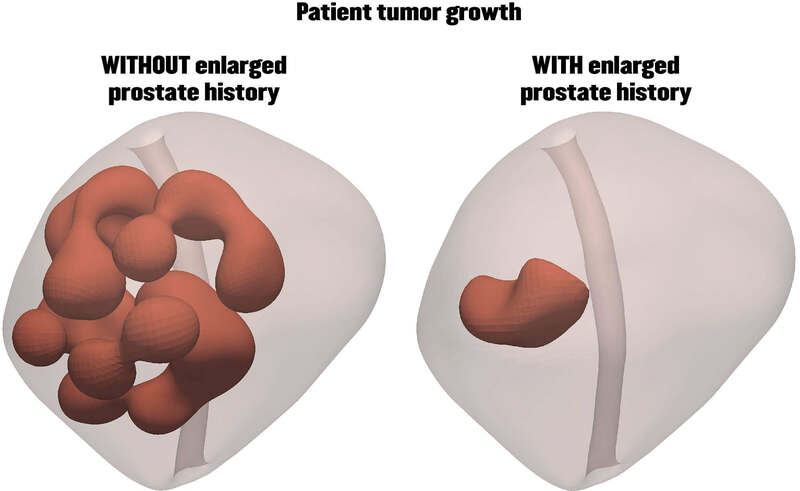 Our simulations show that a history of benign prostatic hyperplasia creates mechanical stress fields in the prostate that impede prostatic tumor growth and limit its invasiveness. The technology presented herein may assist physicians in the clinical management of benign prostate hyperplasia and prostate cancer by predicting pathological outcomes on a tissue-scale, patient-specific basis.